There’s a bronze statue on the side of a plaza in Dallas, surrounded by the tall brick and glass buildings of a thriving academic campus. The figure stands nearly 10 feet high, a balding, bespectacled man wearing a tie and pleated slacks. His mouth is peeled back into a wry grin and his hand is raised, holding what appears to be a piece of chalk up to a chalkboard. The campus is busy, and despite the statue’s size and prominence, hundreds of people walk by it every day without noticing it. But it’s not uncommon to see men and women, often keen intellectuals wearing white coats, stop mid-stride when they look up and recognize the effigy. These days, there are often bouquets of flowers placed at the statue’s feet. When Dr. Donald Seldin arrived at the University of Texas Southwestern Medical Center in 1951, he was 30 years old and the campus was nothing more than a series of dilapidated shacks — an abandoned army barracks — behind the old Parkland hospital. In his 36 years as Chair of the Department of Internal Medicine, and in the 30-plus years he spent on campus after that, Seldin oversaw the school’s transformation from an institution housed in those decrepit barracks to one of the preeminent global forces in medical research and education; he also personally recruited and championed a long list of legendary physicians from a variety of disciplines, including Nobel Prize winners. Other doctors remember Seldin’s intense brilliance and an unflinchingly serious approach with patients. Dr. Gary Reed, who trained under Seldin at UT Southwestern, recalls one man who came in with a mysterious electrolyte issue involving too much sodium in his blood. Doctors immediately assumed the man was dehydrated, though the patient claimed he’d been drinking plenty of water. He wasn’t Seldin’s patient, but Seldin listened to doctors discussing the case during a conference. Seldin went to interview the patient himself, and eventually concluded the man had an extremely rare and deadly disorder called diabetes insipidus, sometimes caused by a brain tumor. A CT scan confirmed the patient had a lesion on his brain. Dr. Seldin likely saved his life. Patient care was at the heart of the vision Seldin brought to UT Southwestern: a three-pronged approach to medicine focusing on a symbiosis of research, academia, and compassionate clinical care that changed the way medicine is practiced today. When he came to Dallas with his wife and their young daughter, Seldin was leaving a job at Yale, where he’d gone to medical school before serving in the U.S. Army during World War II and testifying as an expert witness against Nazi war crimes. Within six months of his arrival at UT Southwestern, most of the faculty — including the man who’d recruited him — had left for other institutions, and Seldin was in charge. The Brooklyn native who grew up wanting to be a poet or a philosopher didn’t have a full-time faculty or facilities that would ever lure anyone from anywhere reputable, but he did have several local clinicians willing to donate their time to give lectures and review cases with students. He also had a ceaseless crop of ambitious students, most of them Texans with undergraduate degrees from Texas public universities, and he found them just as intelligent — and more driven — than students at the best medical schools in the Northeast. He ate lunch with the students and took a personal interest in their lives. They might see him doing rounds at 3 a.m., and when he was done, give lectures about what he’d seen that night. Because he worked intimately with the students, he was able to pick out the brightest of the bunch. He would take them aside and explain: He had a vision. Something that would change the medical discipline forever. Seldin wanted an institution dedicated to the three prongs of medicine he envisioned, and he wanted every member of the faculty to do all three. Your research should make you a better doctor in your field, he reasoned. Being a better doctor would help you to frame questions you need answered in the lab. His approach was revolutionary. Today it’s the standard philosophy at nearly every top medical school in America. He also liked to send off his best students after their initial medical schooling, and arrange for them to study with the top minds in the country — with the promise that the students would return to Dallas to join the faculty and help start new programs at the school. “He had the best taste in academic horseflesh of anyone who’s been around in the last half-century,” Braunwald says. 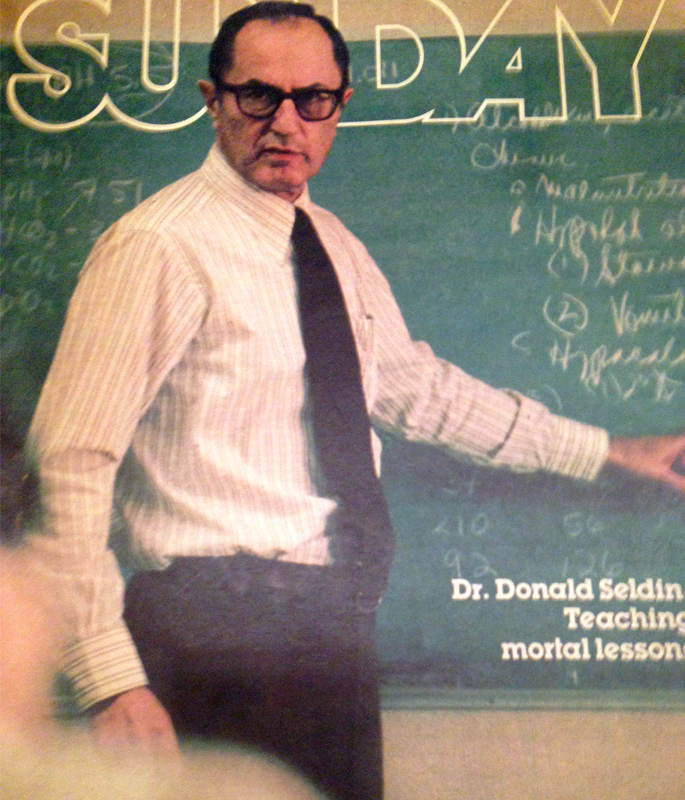 Seldin wanted Goldstein to leave, learn from the best, and come back to start a genetics department. (There were only two in the country at the time.) Eventually Seldin encouraged him to partner with Brown, another superachiever. The two went on to share the Nobel Prize. Under Seldin’s direction, UT Southwestern flourished, too. Medical students from around the globe train here. The school produces some of the most important medical research in the world. But he also treated many of his former fellows like sons and daughters. He would take students to lunch in his old Kaiser and have parties at his house. 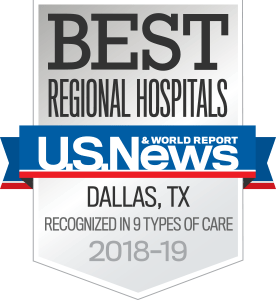 Under Seldin’s direction, UT Southwestern flourished, too. Medical students from around the globe train here. The school produces some of the most important medical research in the world. The Medical Center has more than $450 million in annual research funding and an endowment worth more than $1.8 billion. As the institution grew, Seldin became known as a luminary in the field. He was the president of seven medical or scientific societies and had six honorary degrees, including one from Yale. He made seminal discoveries in nephrology and was instrumental in establishing the modern discipline. He collaborated on the classic textbook on the kidney. And while many alumni still return to the school to teach and research, it’s easy to find former students of Dr. Seldin at institutions across the country. His students have brought his three-pronged academic approach and his brand of humane medical science — a focus on not just checking boxes, but truly mitigating suffering whenever possible — to hospitals, private practices, and medical schools all over the world. In April, Seldin died of lymphoma. He was 97. A memorial and celebration of his life in June at UT Southwestern was packed with people coming to pay tribute. Speakers that afternoon included Braunwald from Harvard, Brown and Goldstein, and other high-profile physicians who came up under Seldin’s guidance. The audience was filled with former students, friends, family, and colleagues from across the country. There were stories about his kindness, his wisdom, his humor, his sophisticated tastes in art and music and cuisine, and his ability to pontificate poetically on any intellectual subject. When the service was over, the crowd moved downstairs for drinks and hors d’oeuvres — and to share more stories about the man who’d brought them all together. Slowly, as the afternoon stretched on, the group, this incredible collection of brainpower, began to dwindle. One by one, people said their goodbyes and headed off to the parking lot, back to the respective lives they’ve built for themselves since meeting Dr. Seldin. As they left, most people went up the stairs, out across a courtyard, and through a small plaza with a tall bronze statue of a man whose shadow only continues to grow.